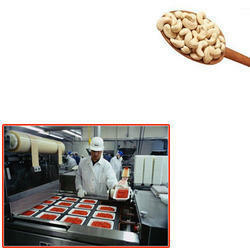 We are a leading Manufacturer of cashew kernels for food industry from Mumbai, India. Our organization is engaged in offering a delectable and crispy range of Cashew Kernels for Food Industry. The offered cashew kernel is processed using progressive techniques that make it able to sell in the market. Our provided cashew kernel is available in diverse packaging options. What’s more, we provided this cashew kernel to our customers at affordable prices. Looking for Cashew Kernels for Food Industry ?